As the name suggests, a tank container is used for shipping hazardous and non-hazardous liquid, gas or powder material as bulk cargo. They are also commonly referred to as ISO tanks because they are built to the ISO standards. The Standards make it possible to transport these materials in different forms. ISO tanks that are built to transport hazardous materials are must meet the International regulations. Each hazardous liquid, gas or powder material has a unique UN number to identify its transportation. There is also a T code assigned to the type of ISO tank transporting the hazardous material. In Australia, the tank operators have major hazard facility licensing which allows them to store large amounts of materials on the site. ISO tanks in Australia are built on stainless steel of 304 and 316 variety. This material integrates perfectly with the protective and insulating layers which are aluminium and polyurethane respectively. Depending on the intended purpose of the ISO tank, pressure vessels can be made from different materials. In the containerization industry, tank shipping containers are the only ones which can transport delicate liquid, gas and powder materials. Moreover, due to their features and set standards of building, ISO tanks provide the safest method to transport hazardous and volatile materials. Which businesses use tank shipping containers? As previously mentioned above, chemical manufacturers count on tank shipping containers to transport their products safely. Heating facilities also use ISO tanks to carry products utilized in the processing plants. It is important to note that both manufacturers and consumers of tank shipping containers adhere to the regulations stipulated in environmental Acts. This Acts or rules ensure that no leakages or dumping that can damage the environment occurs. The 304 or 316 stainless steel used to make ISO tanks in Australia make the cleaning and polishing of the tank very easy. The complete three closure system ensures that there are no leakages in the tank during transportation. This is done by a process called pressure testing which involves confirming that all the valves are operational. The Air inlet valve at the top of the tank container is used for loading. This inlet valve acts as a pressure and recovery device during the loading of material into the ISO tank. Other features include a temperature gauge that monitors the temperature reading of the transported material. Shipping companies that are selling or hiring out ISO tanks in Australia grow in number every year. Therefore, the supply and demand ratio is balanced contributing even more to the growth of the Industry. ISO tanks are mainly used for drum and warehouse storage. Other than that, the non-ISO standard tank containers such as food grades are used for transportation of foodstuff. 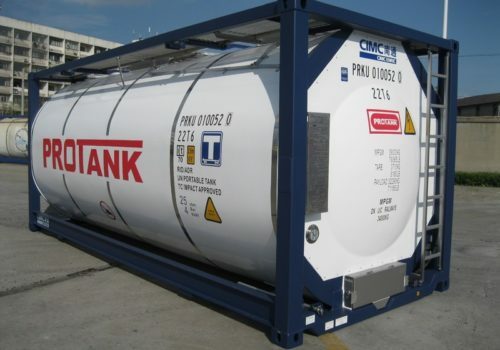 Also, ISO tanks in Australia have contributed significantly to the growth of the freight industry which transports chemical products. They are also used for transporting specialty products to heating facilities.